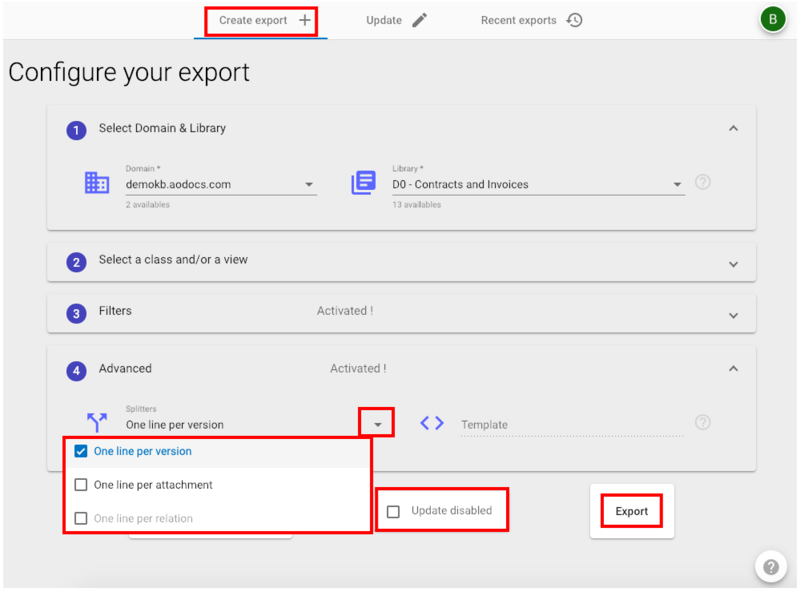 This article explains how to configure the export of your AODocs library's properties. 2. In Bulk Updater, select the Create export tab. 3. Use the drop-down lists to select a domain and a library. Note: The domain and library fields are mandatory to perform an export. 4. 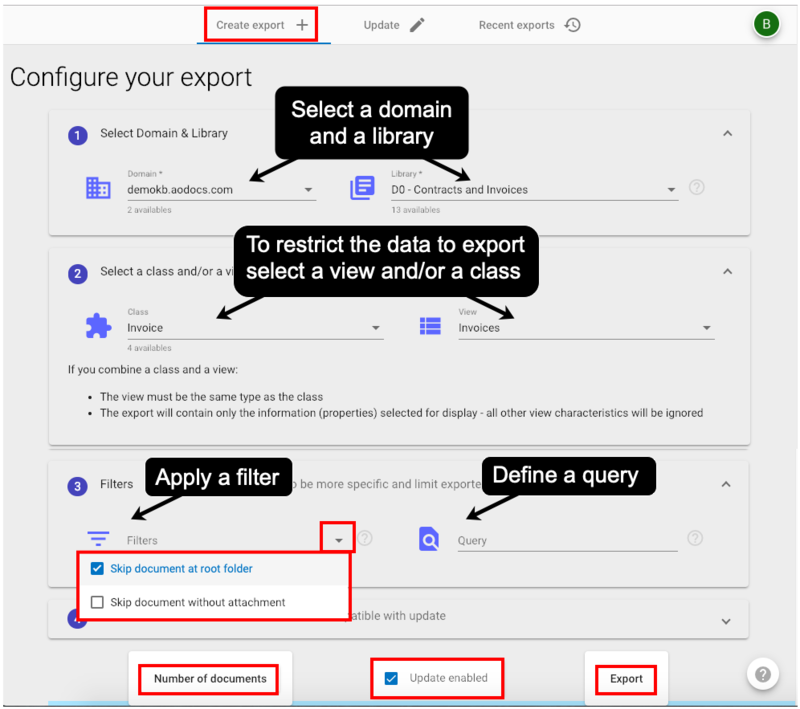 To export a subset of your documents, select a document class and/or a view. Note: The document class and view must be of the same type. Note: The filter Skip documents without attachments is available only if you selected a document class. 6. If required, enter a search query to restrict the documents to export. Learn more: Advanced search operators. Note: You can apply a query only if you selected a view or a document class. 7. If required, press Number of documents to display the total number of documents affected by the export. The number is displayed on the button. Important: Splitters are available only when the update feature is disabled because splitting can result in multiple lines for a given document. Make sure the Update enabled check-box is not selected before running your export. Note: The splitter One line per relation and the Templates feature are not currently available. You can now run your export.